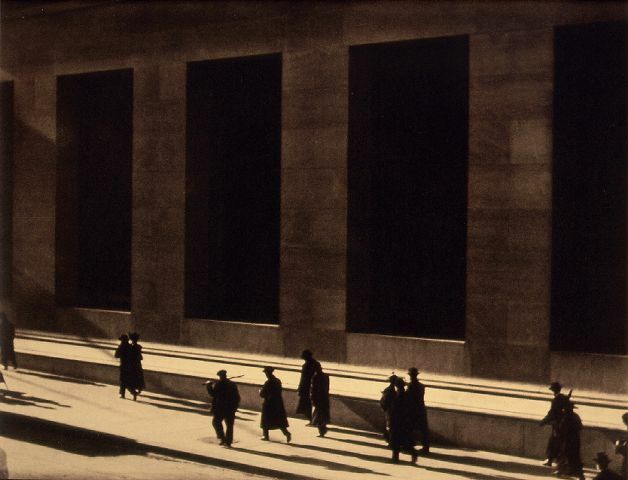 To continue the run of exhibitions dealing with world class photographers, the Metropolitan Museum of Art in New York is now showing the works of Alfred Stieglitz, Edward Steichen and Paul Strand as an example of truly spectacular 20th-century American photography. Running through until the 10th April 2011, Stieglitz, Steichen, Strand, explores the groundbreaking work that these photographers did in their field through a showing of about 115 photographs taken from the Mets own collection. Each of the characters covered in the exhibition have a wealth of work and historical importance to qualify their inclusion in this exhibition. Stieglitz was born in 1864 and came to be a huge advocate for photography as a medium of modern art, through the work at his gallery, 291. As well as holding photography exhibitions at his gallery, he also produced a journal called Camera Work, which still stands as one of the most interesting resources on 20th-century photography. The museum first acquired Stieglitz's work in 1928 though a personal donation from the gallerist and photographer. Amongst the works that will go on show are some of Stieglitz portraits of Georgia O'Keefe, with whom Stieglitz had a complex and involved relationship. Steichen was a protégé and collaborator with Stieglitz, showing remarkable talent as a photographer. Steichen was a member of the Photo-Secession, which was a group of artists founded by Stieglitz in 1902 with the aim of creating and showing photographs that would be judged on their artist merit by photographers, not artists - as had typically been the case. Steichen became well versed in multiple printing techniques that allowed him to create photographs on a scale, and with a quality, with which he challenged the individuality of painting. Strand was a younger contemporary of Stieglitz and Steichen and he is renowned for taking the soft painterly efforts of the Photo-Secession photographers and shifting to the hard-edged and graphically powerful style of emerging modernism. Strand looked at geometric abstraction and involved himself in street life and machine culture in order to produce highly striking photographs of the modern world. The exhibition at the Met offers a great opportunity to see these photographers works together and get a unique view of the development of photography at such a key time in modern history.